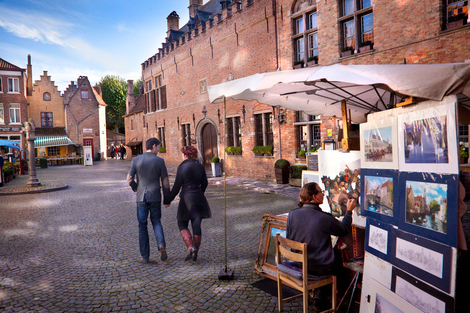 Breathtakingly beautiful and picture postcard perfect, Bruges still testifies to a past steeped in history. Though quiet, atmospheric and arrested in time, it is also a highly convivial city. 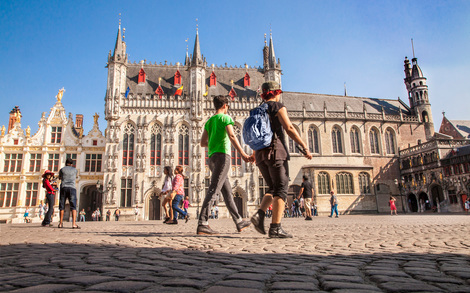 This place was already inhabited in the 2nd century AD, and in the 9th century it became the base of operations of the Count of Flanders. 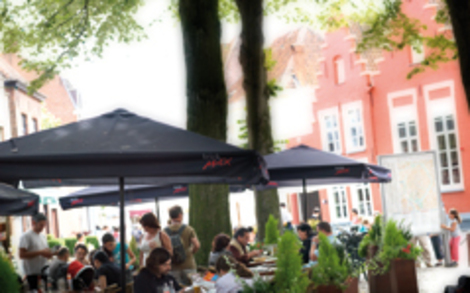 As far as size goes Huidenvettersplein cannot compete with the Market and Burg, but the tiny square which is enclosed by restaurants is pleasantly adorned by the presence of artists.Thus there is no escaping the cozy and intimate atmosphere which surrounds the square. 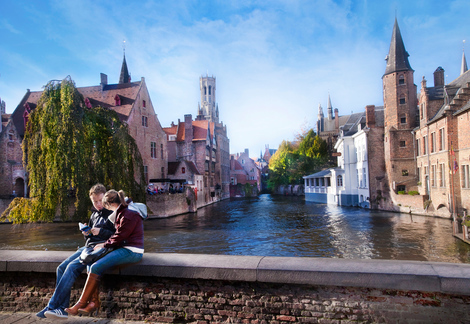 Summer or winter, morning or evening, sun or rain…Rozenhoedkaai has the enthralling ability to always make a stunning impression.It should come as no surprise that this continuous to be one the most photographed spots in Bruges. 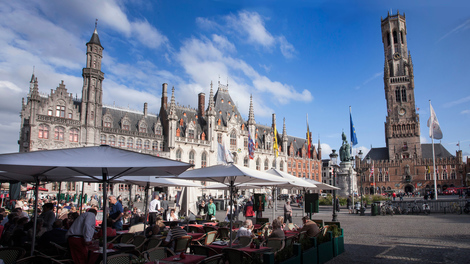 Markt is dominated by its Belfry, for centuries the city’s foremost edifice and the perfect look-out in case of war, fire or any other calamity. 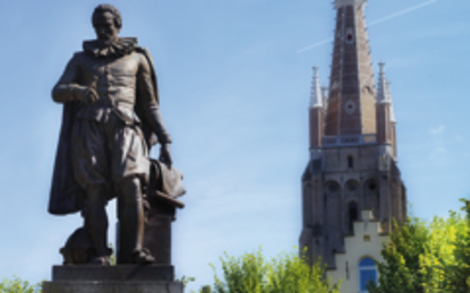 The mathematician and physicist Simon Stevin (born in Bruges in 1548, died in The Hague in 1620), after whom the square is named, stands proud on this lively square, which is framed by neat rows of linden trees. 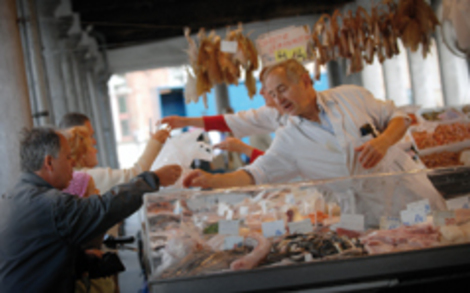 At first, fish was sold on one of the Markt’s corners, but as the townspeople complained about the stench, the fishmongers were forced to move and sell their wares here. The name of this small cobbled square possibly refers to the first city walls, built nearby in 1127-1128.